Getting a beautiful smile without metal braces is easier than ever with Invisalign®. Dr. Kathein and Dr. Kossak are certified Invisalign® providers and routinely utilize these clear braces as a treatment option for teeth that are crowded, widely spaced, or misaligned. 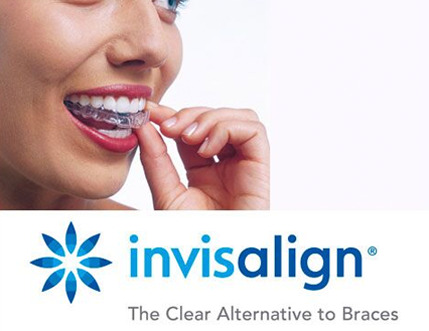 Since the Invisalign® aligners are removable, comfortable, and virtually invisible, Invisalign® is a popular choice among many adult patients and teenagers who do not want conspicuous metal braces. The Invisalign® system uses a series of custom-made, virtually invisible plastic aligners to gradually move teeth into alignment. During your first visit, our doctor will help decide whether Invisalign® is an appropriate treatment for you. If you are a good candidate, photographs and molds of your teeth will be taken and sent to the Invisalign® laboratory. Using the molds and photos, highly trained laboratory technicians will map out your treatment plan with advanced computer technology and produce a 3-dimensional movie of how your teeth are anticipated to move to their desired positions. Invisalign® will then fabricate sets of clear trays, or aligners, that will slowly and safely move your teeth closer to their final position. 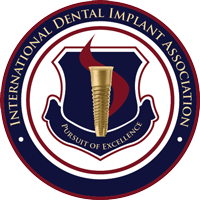 You will receive detailed instructions on how to wear your aligners and your progress will be monitored carefully by the doctor. Each new set of aligners is worn for two weeks and is worn all day and night (only gets removed to eat, drink, brush, or floss). If you have crowded, spaced, or misaligned teeth, now is the time to call Elite Dental & Aesthetics to get started with your Invisalign® treatment. In as little as 4 months, you can get the straight, healthy teeth you’ve always dreamed of.